Carol asked me this home management question about cleaning hard water from a glass shower door. I have tried EVERYTHING in a bottle and several homemade concoctions as well. I thought I was successful with a mix I made of citric acid and lemon juice, but as soon as I ran my next shower the build up reappeared (as soon as the shower started steaming up). I'm starting to wonder if it would just be best to replace the shower door. Oh, the dreaded glass shower door. Believe it or not, this is a very common question because glass is so unforgiving when it comes to showing off hard water build up and soap scum. It sounds to me like you have both a hard water and soap scum problem. This is common because soap scum develops when particles in the soap that are insoluble combine with the minerals found in hard water, and start to create a layer of film on a surface, in this case your shower door. Basically, the hard water and soap build up are working together to make a yucky mess all over your shower door. I think you are on the right track with the cleaners you are using. Both soap scum and hard water are alkaline in nature, and so something mildly acidic is what is used to clean it off. Examples of mildly acidic things around your house you can use include citric acid, lemon juice and white vinegar. Even if you use a commercial product to try to remove the soap scum and hard water, those products will likely contain acids, such as citric acid, oxalic acid, or hydroxy-acetic acid, as one of their active ingredients. Unfortunately, even though these products can work what you have discovered is that they can take a while to work. cleaning hard water from your shower door by now, but unfortunately not all the layers. When wet and steamy you could just see it better. I would keep applying the acidic cleaning solutions you have been using a couple more times, giving it time to really sit and work before you rinse it off. Then, if you are going to keep your glass shower door, and not replace it with something else, you will most likely need to clean it this way routinely. It is much easier to remove just a little bit of hard water build up instead of a lot! In addition, once you get your shower door looking good again, I would suggest making a habit of wiping down the shower door after every shower to keep water from pooling on it. One of the quickest methods to do this is to use a shower squeegee , and just do it every time. This little habit, taking 30 seconds of your day, will save you hours of work scrubbing those doors in the future. The shower squeegee I have linked to is nice, because it is designed to hang, such as right by your shower, and is pretty small, so it won't take up too much room. Further, if you see hard water build up all over items in your home, not just your shower door, another solution is to get a water softener, which helps with hard water issues. I've found some of the best water softener reviews here, to help you find a good one that suits your needs. 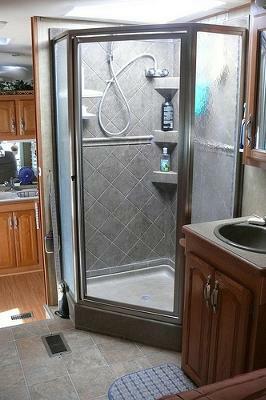 I hope these ideas help you with cleaning hard water from a glass shower door. 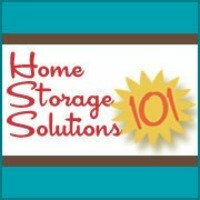 Do you have your own home management question? If so, submit your questions here, and I will give it my best shot to answer it!